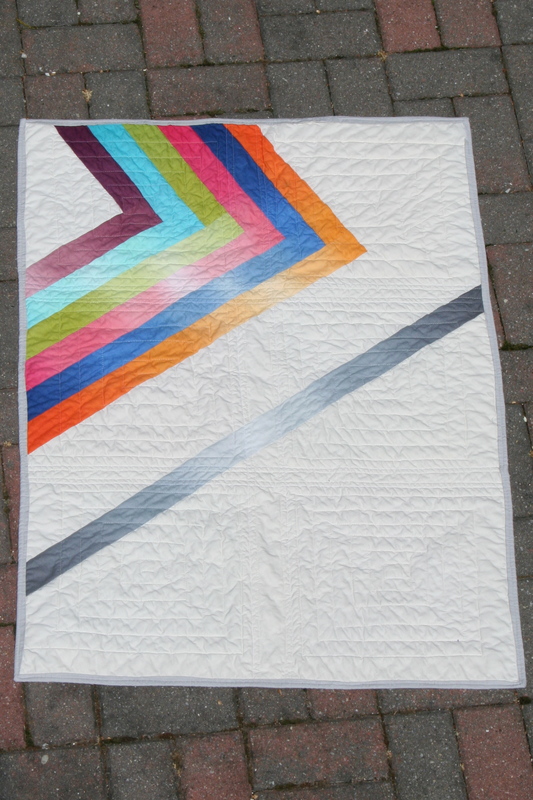 After all the lovely feedback I got yesterday about the Technicolor quilt, I had a surge of energy to bind it and finish it once and for all. For those who don’t know the whole story, this quilt was made as a sample for Rock Paper Scissors using a mini jelly roll of ombre fabric from the Simply Color line and about two yards of Kona Bone. The binding is Kona Medium Grey. 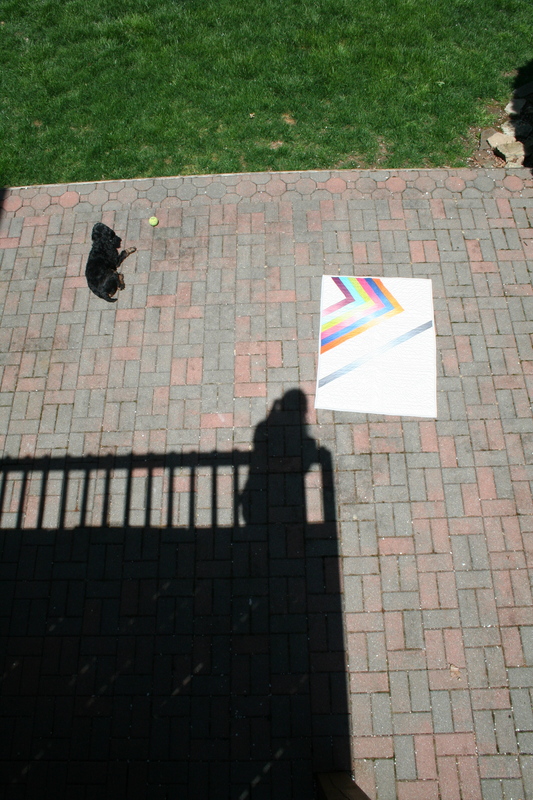 I was inspired by Amy Smart’s ombre quilts and Alissa Haight Carlton’s Pink Greater Than. I wrote a tutorial (my first! please give feedback if you use it) when the top was displayed in the store. It hung out there for a few months until I quilted and bound it this week. 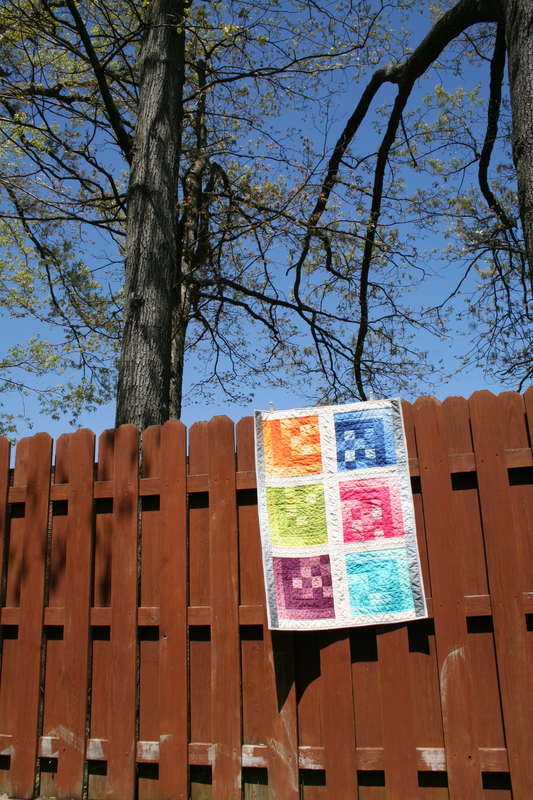 I have always wanted to do an outdoor photo shoot for a quilt, so it was a lot of fun taking these pictures. Thanks for taking the time to check them out. Full disclosure: Beth from Rock Paper Scissors gave me the fabric used in this quilt to make a sample for her store and show what can be done with a junior jelly roll. You did it. You totally made one of those quilts that either side could really be the front. The back is solid summer – it’s The Go-Gos. The front could be sold as an advert to Skittles….cuddle the rainbow? I love it. I think I’ll frame this comment and put it near my sewing space. Thank you so much. 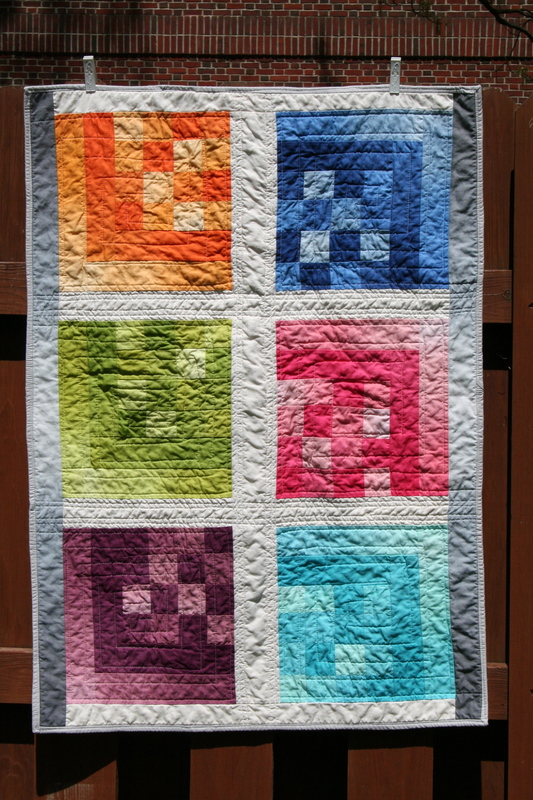 Congrats on the finish – I love the backing and the way the quilted spirals pop!